The Jungle fish Ubud is an amazing restaurant, hotel and infinity swimming pool in Ubud, Bali. The restaurant claims itself as a ‘Bali no beach, beach club’ restaurant. This is the most epic and the perfect place if you want to escape the hustle and bustle of the Ubud town centre. It is one on the best Bali Instagram locations to visit. Also, is has got to be one of the best and most luxurious hotels in Bali, as well as the hanging gardens in Ubud. What is the Jungle fish Bali? Also, it’s also known as Chapung Sebali’s signature open-air restaurant and swimming pool resort. It’s not as luxurious as the Wanna jungle pool resort, but it is totally amazing. 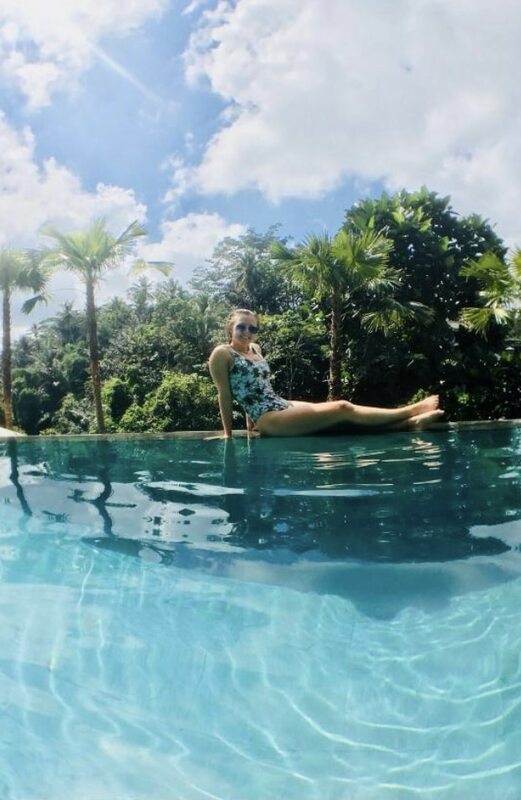 It has a great combination of Balinese and Danish cultural and Jungle Fish pool Bali offers an incredible view of Ubud’s jungle and is one of the best swimming pools in Ubud. 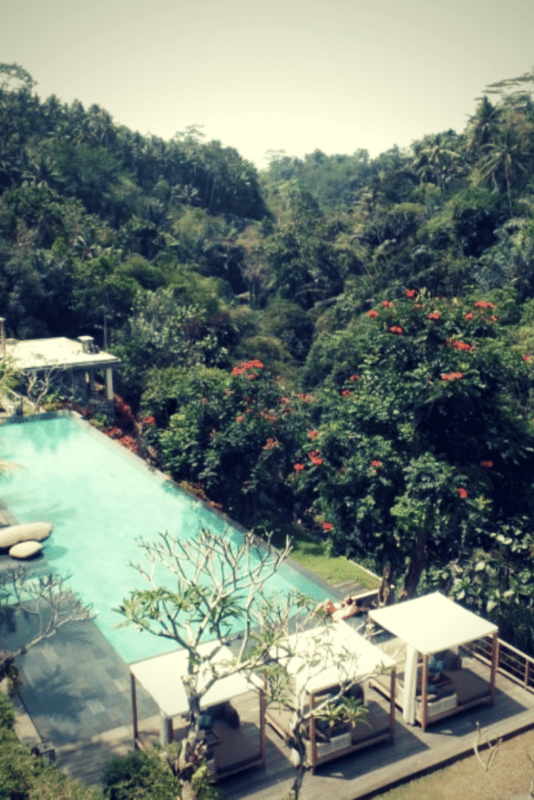 It has one of the most awesome infinity swimming pools in Bali with the most eye-catching view of the jungle. Also, it is one of the best restaurants in Bali. A complete guide to the jungle fish Ubud, Bali. Including the Jungle Fish entrance fee and how to get to the Jungle infinity pool. Let’s look what’s in this post. How to get to the Harga Jungle Fish Bali? Ubud’s ‘no beach’ beach club is situated in the Ubud jungle, Bali. 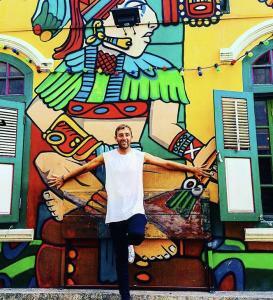 And is very near to the Ubud town centre. It is 20 minutes-drive from the Ubud town centre. You can hire a taxi or if you have booked it through a tour company, they will pick and drop you from your hotel. We hired a scooter and drove there ourselves, which is the best option! The drive on the way is epic and there is plenty to see and some amazing photo opportunities. Also, you can rent a scooter in the Ubud town centre for around ($2) a day. There is parking available at Ubud’s best infinity pool, so you can leave your scooter there for the day while you set back and enjoy the Ubud jungle from one of the sweetest destinations in Bali. The Jungle fish Ubud Day Pass Entrance fee? You have 2 options for this hotel. 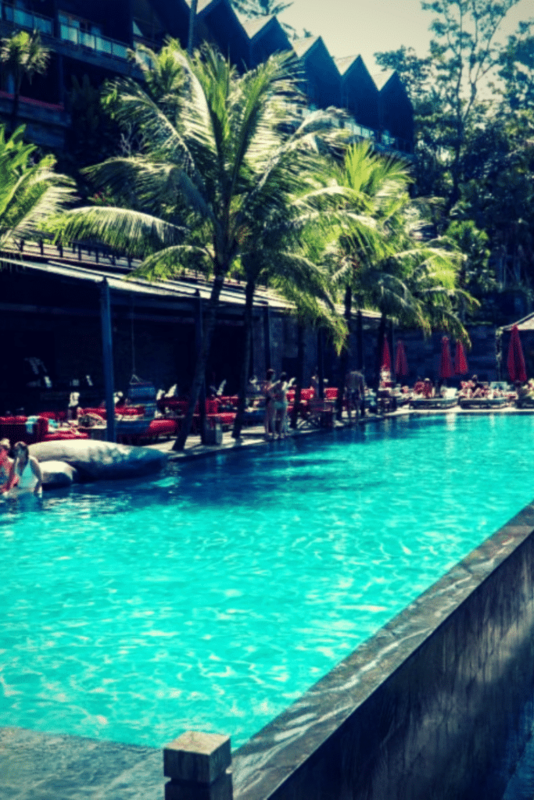 You can either do the Ubud pool day pass, this is what we did. Or you can stay at the Ubud pool hotel. However, it’s expensive! But if you’re on a luxury stay in Bali, I would definitely stay here. Day pass at the Jungle Fish Ubud is just to enjoy the pool, reserve a sun lounger or a hanging bed and the price of a Jungle Fish day pass starts at (IDR 100,000 -USD 7.50) per person and this doesn’t include food. 1 night stay will cost around 6,035,729.00 IDR (USD 424.55), not cheap I know, but it is an amazing place. Also, one for the honeymoon destination. Jungle Fish Bali Opening Times? What time does jungle fish open? The actual opening hours are; Everyday: 7:30 AM – 11:00 PM. The best time to get here though is around 10am when the day starts to warm up and you can get your own bed. Dinner time is the best part of the day, after that it gets really busy. You can also check the Jungle fish Bali Instagram account for more photos and contact them direct through their Instagram account. This is one one of the best activities in Ubud. 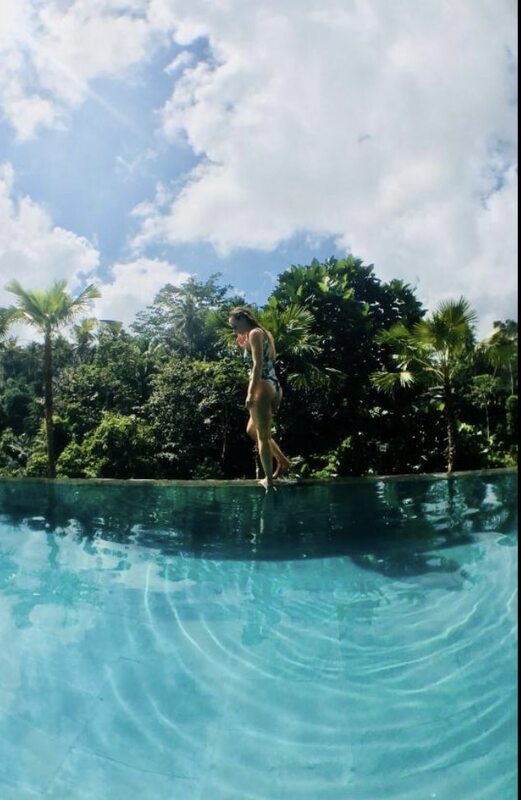 The best thing about the Jungle Fish Bali is an open-air jungle infinity pool which is 35 meters long and the water is cool, turquoise and crystal clear. It is said to be the best pool club in Ubud, Bali. The pool is covered by palm trees and also has plenty of beds for chilling out on. 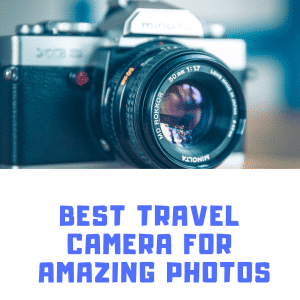 It is the perfect place for your Instagram photos. The backdrop and palm trees make it the perfect place for your Ubud photos. There are lifeguards near the Ubud swimming pool at all times. Towels are ready and fresh and are given to the customers whenever they demand. The pool is divided into different levels of depths like; depth from 4 feet to 9 feet. You will see two different levels at the junglefish, an upper deck and a lower deck and you can use both of these pools if you want to. You can also order food to take to your seats, you should try the food as this is one of the best fish restaurants in Ubud. If you’re looking for awesome luxury hotels in Bali like the Jungle fish, you should check out the Chapung Sebali on your travels. This is an epic hotel that offers an outdoor swimming pool for to chill out on in the hot Ubud weather. Also, there is a fitness suite at the Chapung Sebali for all you gym lovers. This epic swimming pool hotel in Ubud sells some of the best food you will taste and it’s definitely up there with the best restaurants in Ubud. We had a snack in the morning and then got dinner later on in the day, the food was amazing. Also, I would recommend trying the chicken dishes, amazing. The restaurant also as suites for the guests. The suites can fit 2 to 4 people depending. It offers 2 kinds of suits; Deluxe Suite and Deluxe Pool Suite. There is a suite that is made to accommodate 4 people and this awesome room is airy and very comfortable. Also, it has floor to ceiling windows near the balcony to give you the most amazing view of the Wos River Valley, the Jungle Pool, bar and the spa. The room is made with the charismatic fusion of hardwood, red brick and black marble and the bathroom has large bath tubs and hot and cold-water shower. Also, it has a king size cozy bed, a small desk, air conditioner, free Wi-Fi, flat-screen TV, Bluetooth audio speakers, safe and a mini bar. 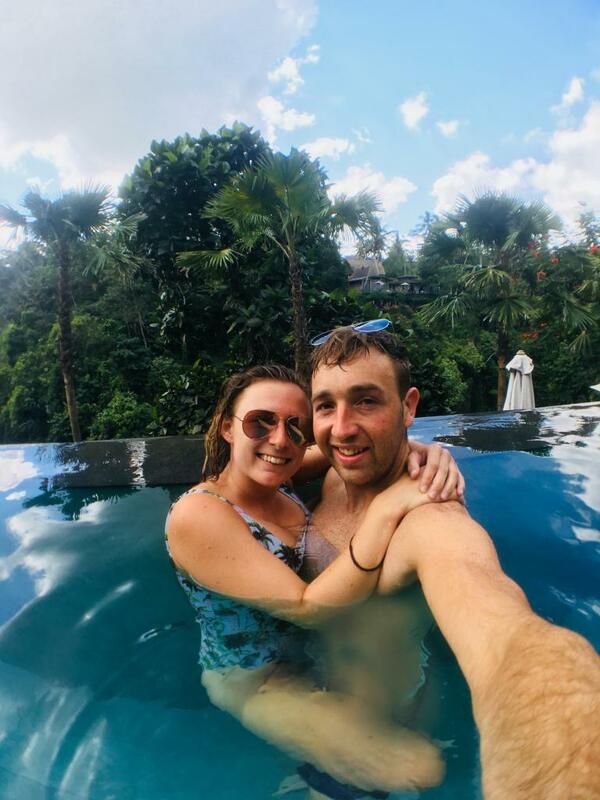 Making it one of the best honeymoon hotels in Bali! 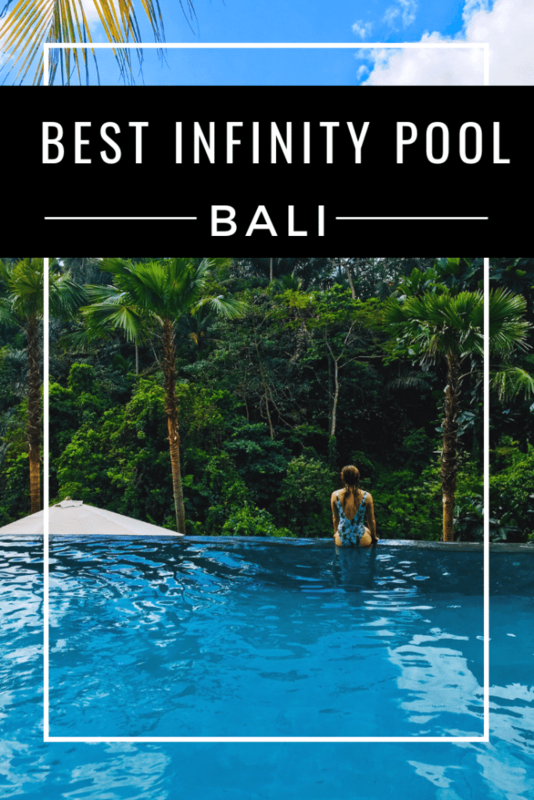 One of the other most amazing luxury hotels in Bali is the Wanna jungle pool resort and this is the ultimate tropical jungle infinity pool hotel in Ubud, Bali. 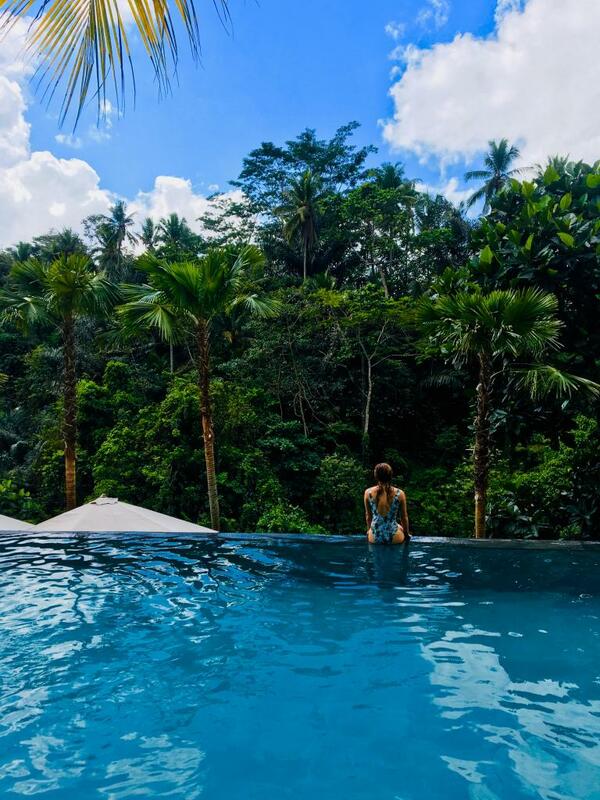 You will rock the life out of your Instagram with this amazing jungle setting, there is 3 infinity jungle setting pools for you to choose from. 1-bedroom Villa: this is mostly accommodated by honeymoon couples. 2-bedroom Villa: this is mostly accommodated by 2 to 4 people. The Residence: this is accommodated by a group of friends between 6 to 8 people and it has a pool..
All the villas will have complimentary breakfast and tea and the make-my-room facility is free for all the villas. Chapung Spa: it is right next to the jungle pool, while having a spa you can view the stunning Wos River Valley. You can have a head to toe pampering, signature massages, hot stone therapies, facial and hair treatment. Yoga sessions: it offers small sessions of yoga by highly trained yoga experts. Chapung Gym: it has all the latest equipment to recharge your body. The Ubud Jungle Fish hotel makes your special day the most memorable and the best experience of a lifetime. It offers different wedding packages like and party packages if you’re looking for something extra! Wear decent clothes as this restaurant is mostly visited by families. You should always keep a copy of your reservations with you at all times. If you have children with you, make sure they don’t pee in the pool. Always keep your passport with you. Be sure to check your bill when you checkout from the restaurant. During the bicycle tour always stay close with your guide at all times. There are plenty great places to eat in Ubud. If you’re a vegian or just love the organic scene, you will find a restaurant in Bali suited to your tastes. Sweet Orange Ubud – This epic place to eat is located in rice fields of northern Ubud and its only a 20-minute walk from ubud town centre. you’ll stubble upon a new hidden little gem with a heart felt story. The warung is surrounded by beautiful rice fields, distant flowing rivers, panoramic views of the volcano with a vegetable garden to supply the kitchen. LUXE BBQ and Grill – If you’re looking for dine-dining in Bali, this is the place to go, you will find mega tasty cuts of meat here and the food will blow your mind. Also, the meat here is perfect for meat-lovers and there is accommodation here if you want to stay the night after all that food. Uma Cucina – Are you an Italian foodie? This should be on your list of restaurants in Ubud to visit as they sell all the usual’s; pasta, pizza, cheeses and great wine. The food here is Delicious and I would definitely take the time out to visit here, even if it’s just for a quick pizza! The Kamandalu hotel in Ubud is a perfect chance for a Balinese experience with all the comforts of a 5 Star resort, the Kamandalu has an amazing deluxe pool villa for its privacy and amenities and there is very friendly resort staff throughout your stay. There is a mega spa at this top hotel in Ubud. The Kamandalu is truly an enchanted Balinese village waiting to satisfy you with a perfect experience. Obviously this is a luxury hotel so if you are on a budget, this one is not for you. 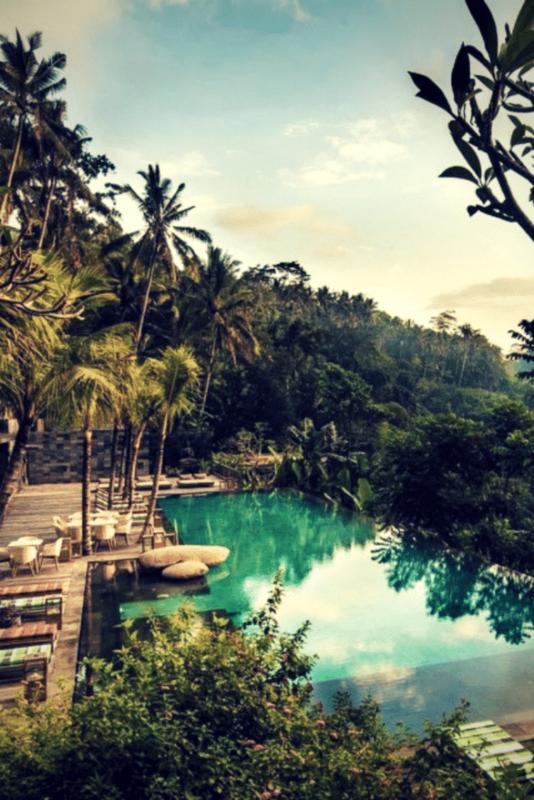 The Hanging gardens of Bali is a sweet-luxurious destination, which you will find located in the jungle, it is situated near Payangan, a village North of Ubud, The enchanting five-star luxury resort has 44 private suites and individual villas. The hanging gardens of Bali suites all have their own granite infinity pool, amazing. Each villa is designed with traditional Alang Alang thatched roofs in complete harmony with nature. In 2014 the award was given for the World’s number one honeymoon destination in Bali. Guests here can catch the free bus as the airport is around 90 minutes away by road depending on traffic. This really is a sweet and luxurious hotel in Ubud you should stay at if you have the funds. This homestay hotel in Ubud is in perfect location and it’s within walking distance with all the top Ubud must see attractions, this homestay offers very clean and comfortable rooms and these come with hot showers, free tea and coffee all day long. There is also free breakfast included with this homestay in Ubud. Also, the service here is also amazing and you will feel very welcomed on your stay. Also, the Wifi is very good here, always a tip essential, overall making it a top place to stay in Ubud. This is another great cheap place to stay in Ubud. It’s a budget homestay that offers amazing service, clean rooms and free tea/coffee. There is a good view of this homestay and you can even get a view of the flowing river that runs by it. 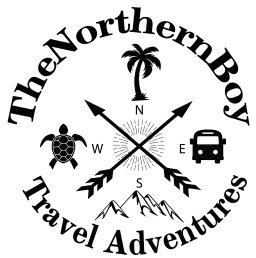 You will be treated very well at this budget accommodation in Ubud and this is definitely a top place for backpackers to stay. 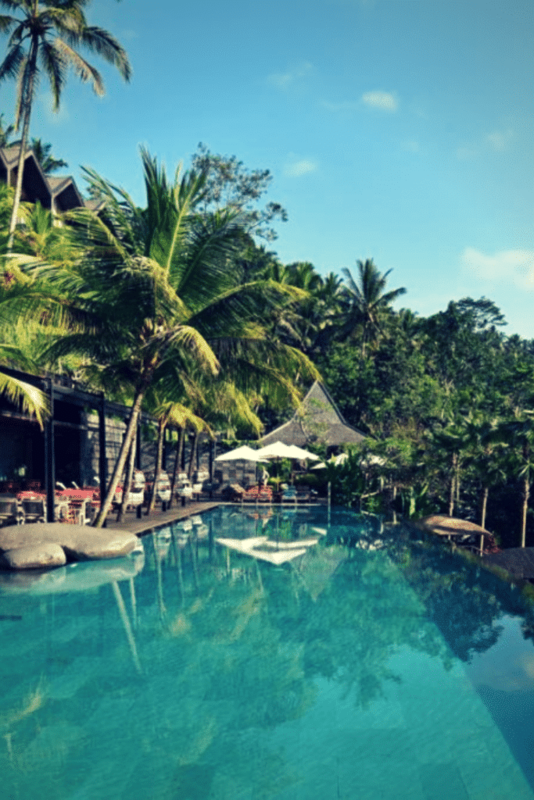 The Jungle fish swimming pool Ubud Harga is a place for everyone. We was backpacking in Bali on a budget, but we spent a little here just for a day of luxury. And it’s one of the best experiences in Bali, you could also visit the awesome Chapung Sebali on your travels. 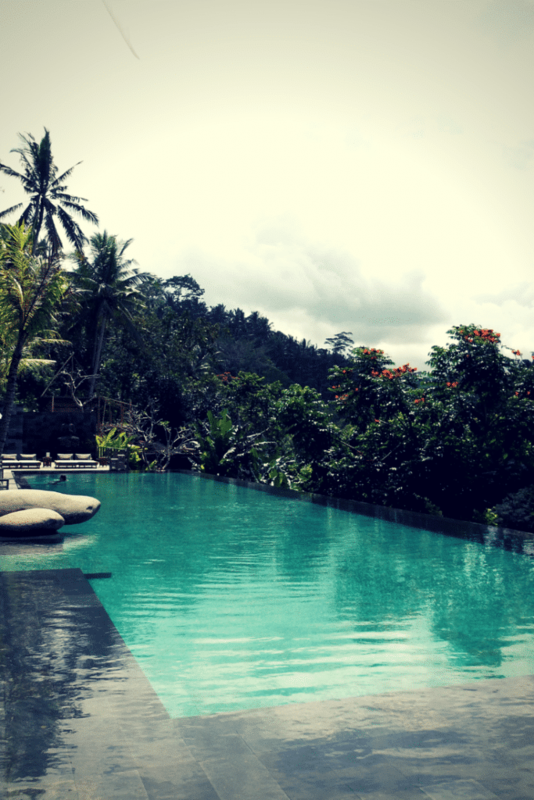 The setting of the Ubud infinity pool is absolutely amazing. The food is also tasty as hell! There is plenty of things to see in Ubud and this is one of the best. Remember to take your camera along with you! Also, as the day gets to about dinner, the guests start to pour in. So get there early.